All ProSilva Ireland members are welcome to attend our annual study trip – this year to Belgium. Day 1: We will visit forests close to Brussels and Namur. We will visit different conifer stands in Ardenne (douglas, spruce) that have been historically transformed and broadleave stands (oak, beech, ash, maple). Day 2: A visit to Vielsalm conifer public forest. 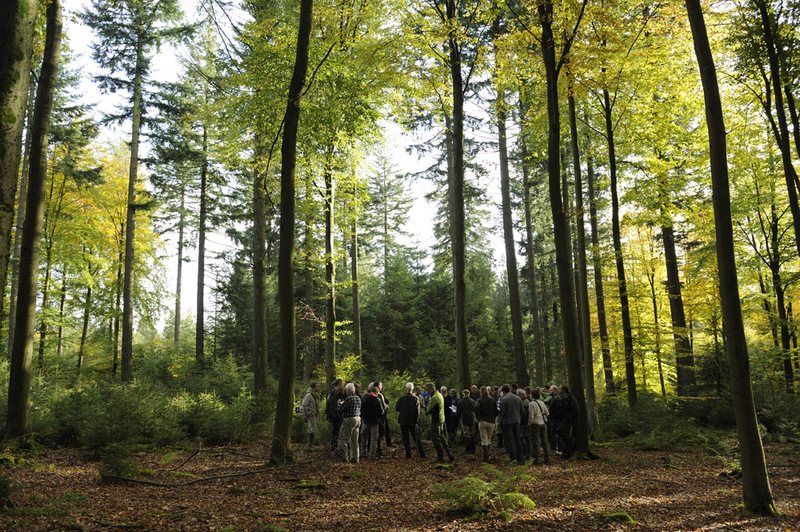 Day 3: Namur University forest – we will be visiting different broadleave stands (oak, beech, ash, maple) managed by ProSilva Wallonie (Belgium) President, Charles Debois, who have practised Pro Silva principles for more than 30 years. ProSilva Ireland and ProSilva Wallonie will be organising the bus transport and accommodation in Belgium. The trip will be from Thursday morning meeting at Brussels airport and will include all day Thursday, Friday and Saturday returning to Ireland on Sunday. Flights –Members are to make their own arrangements regarding flights. There are also Ryanair flights on Wednesday evening and returning Sunday evening to Namur airport. and member Christine Sanchez for arranging and hosting this study tour.